Similar to the exquisite Red and Gold Acorn deck, which sold out almost instantly upon release last year, this new deck features Guy Hollingworth’s wonderful Acorn back design with a black back and metallic silver details. It is a beautiful deck! The quality of these cards is amazing. They are on the best card stock and made to handle superbly. Additionally, for those that use Juan Tamariz’s Mnemonica, the deck comes ready to go into stack with nothing more than a simple cut! 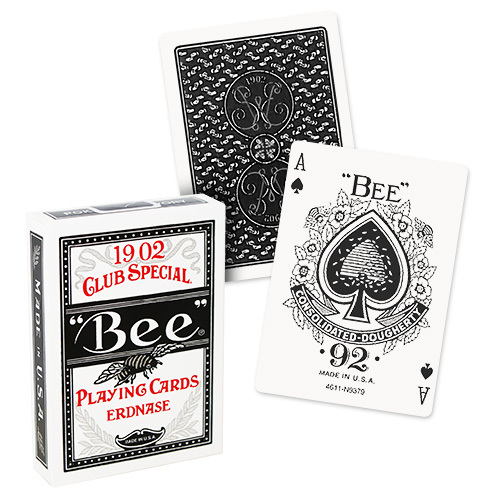 The cards are printed in Mnemonica order and cut so the Ace of Spades is in the front. Accordingly, when you remove the deck, everything seems to be in order, when in reality, you are only one cut away from one of the most potent and versatile subterfuges magic has to offer. • The cards are poker size. • These new cards are made in very limited quantities and will not be reprinted.